Well, the playoff pushers are probably dancing in the streets today, as the Department of Justice has sent a letter of inquiry to the NCAA probing for information about why there's no postseason playoff system for the Football Bowl Subdivision. First, Sen. Orrin Hatch (R-UT) will announce his bid for re-election just in time for the flagship university in his home state to join a BCS conference. Second, the BCS commissars will politely listen to any opinion that anyone from the government wants to give, thank them, then show them the door. There are a ton of lawyers who have looked at this system already. Fourteen years later, it's still not going to be found to be in violation of federal antitrust laws. As I've said in this space previously, before anything gets broken up or a lawsuit reaches a settlement, I truly believe that the schools will go back to the old bowl system. To me, the penultimate sentence in the letter from the Justice Department's antitrust chief, Christine Varney, to NCAA president Mark Emmert is absolutely key: "Your views would be relevant in helping us to determine the best course of action with regard to the BCS." The NCAA has never really taken a stand other on the BCS question, other than accepting the system that school presidents and athletic directors have wanted. Football is the only sport it doesn't directly control. It only approves the bowls that schools can participate in and assigns referees to each bowl game. Varney wants Emmert to give her the green light. 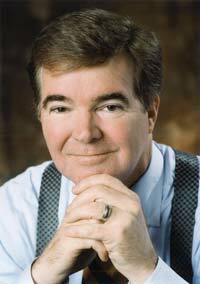 With a strongly worded memo, Emmert could start the investigation that will change the landscape of college athletics. According to estimates by the anti-BCS blog Death to the BCS, a playoff system in college football could make up to $600 million more annually than the current postseason system. The NCAA would love to get a cut out of all the money involved in postseason college football for being the organizer and licenser of all things football national championship (see: March Madness). The potential downside for the NCAA would be if Emmert sics the government on the BCS and pushes already leery schools further away. He's losing plenty of friends over his erratic investigations of Boise State, North Carolina, Oregon, USC, Ohio State and Auburn. It's been speculated in this space before that if push came to shove, the large schools would break away and form a new division of college athletics. With all the new monster TV contracts being announced, why would the big schools want to take a little more money and split it 120 ways? Football fans often forget that the NCAA is nothing but a regulatory body that provides impartial championship opportunities. If enough schools decide to leave and commission a new set of regulations and guidelines, the NCAA would be powerless to stop them. I will be watching the next few weeks with great interest to see just what the NCAA has to say on the matter. If you're hoping for controversy, don't get your hopes up.